HUNTSVILLE, Ala., Dec. 19, 2018 /PRNewswire/ -- LINE-X, a global leader in extreme performance protective coatings complemented with first-rate truck accessories, will honor service members and veterans as an official supporter of the 16th-annual Lockheed Martin Armed Forces Bowl at Amon G. Carter Stadium in Fort Worth, Texas, Dec. 22. LINE-X will send 250 of our Armed Forces heroes to the game for an afternoon of college football and well-deserved break from their duties. Celebrating its 25th anniversary, LINE-X has been a major supporter of the Armed Forces Bowl for the past three consecutive years. 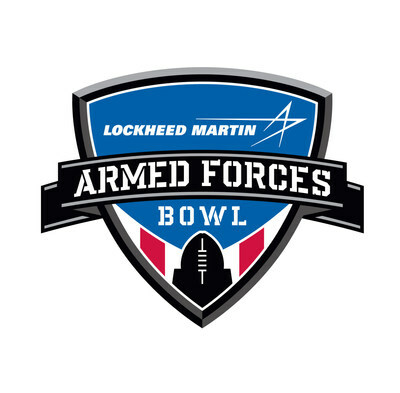 As one of the most respected NCAA college bowl games, the 2018 Armed Forces Bowl features a showdown between the 22nd-ranked United States Military Academy's Army Black Knights and the University of Houston Cougars. The game is scheduled to air live on ESPN Dec. 22 at 2:30 p.m. CST. For 25 years, LINE-X has been a strong supporter of the Armed Forces which are represented on all levels of the company to include executives, managers, employees and franchise owners. LINE-X President Dennis Weese is a graduate of the U.S. Military Academy at West Point, a former U.S. Army officer and Army helicopter pilot. Additionally, LINE-X is considered a highly respected company for veteran franchise owners by offering discounts on various franchise start-up costs. Other veteran initiatives include philanthropy support to veteran's organizations and special incentives to franchise owners. "This is our third consecutive year supporting the Armed Forces Bowl, and we are thrilled to once again be a part of this exciting bowl game and have the opportunity to show our support to the armed forces and our veteran service members," said Dennis Weese, president of LINE-X. "I truly believe it is extremely important to support the armed forces and as an Army veteran myself, I am extremely proud of what LINE-X is doing for all of its veteran employees and franchise owners. They have made incredible sacrifices for this nation and it is an honor to be a part of a company that strongly encourages veterans to start their own franchises. I am looking forward to an incredible game and of course, I'm rooting for my alma mater, Go Army!"